All Alpine & Freestyle athletes must be a minimum of 6 years of age as of January 1, 2019. BSF uses the U-age-group system for our programs. 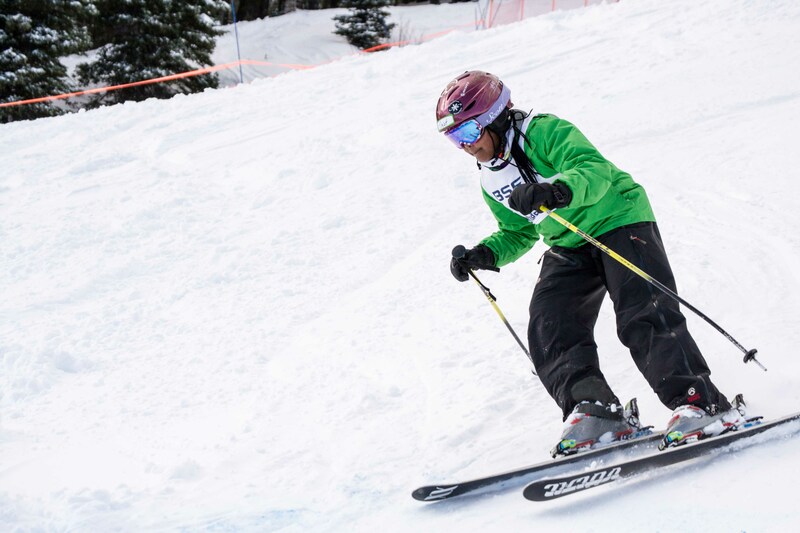 Introductory (formerly called Youth Ski League) is designed to improve fundamental skiing skills while exploring an introduction to Alpine ski racing and competitive Freestyle skiing. Also, we want you to love skiing as much as we do—we want this to be FUN. Bridger Bowl offers fantastic terrain for training sessions, and all athletes will be evaluated on the lower mountain before advancing to more difficult terrain. To maximize safety and FUN, participants will be placed into training groups comprised of skiers with similar technical skill and ability. Skiers who have already had some formal or informal instruction. Should initially be comfortable skiing up to mid-mountain terrain (i.e. Pierre's Knob, Alpine, and Powder Park lifts). View detailed map here. Should also be able to ski with poles and load/unload lifts safely and independently. Should be able to carry, put on, and take off equipment independently. U.S. Ski & Snowboard Association license not required. The next step will be an Intro Development or Devo Comp program. Not sure? Just talk to a program director or coach. Make-up days: If there are any weather cancellations, we will make up missed days in March. If you cannot attend the make-up date, no refunds will be issued. If it’s below zero, we will likely cancel a ski day; look for a cancellation email. 2:00 p.m.Skiers will be released from the program at 2:00 p.m. slope-side outside of Jim Bridger Lodge. 8:45 a.m. Meet your coach and group at the Sunnyside Quad. 2:00 p.m. Skiers will be released from the program at 2:00 p.m. slope-side outside of Jim Bridger Lodge. This is a great way to kick off the ski season and either get ready for the regular sessions or to explore BSF before you commit to the 8-week program that starts in January. Alpine and Freestyle athletes will work together on a reintroduction to the fundamentals of skiing. Plus, we’ll have tons of fun! Seasoned BSF participants will also have an opportunity to receive discipline-specific instruction. ‍*You don’t have to be registered in a full BSF program to participate in this camp. Our Introductory program has a two-track approach: Alpine & Freestyle. At the Alpine and Freestyle Intro level, there is a large percentage of overlap with fundamental skill acquisition. Coaching is provided for the individual groups/disciplines. When registering, please choose a track based on the participant’s initial interest. But rest assured, this does not lock them into one track. We encourage exploration; and at this level, the fundamentals we focus on are very similar. If you are not familiar with the sports of Alpine Ski Racing and Freestyle Skiing, please choose a track that best describes the skier’s interest. If the skier later shows more interest/aptitude in another track, coaches and directors can help facilitate a transition. Please have your children fed (a warm, substantial breakfast is recommended), fully dressed, and ready for a full day of skiing. Ski Clothes. Appropriate ski clothing is important in Montana, so please have your skier dressed in proper ski clothing and prepared for our variable weather. ‍Helmet. For safety purposes, we require your child to wear a helmet. Poles. Also required. Please let us know prior to the ski day if you need help finding a helmet or poles and we will be glad to assist you. Small backpack. If you could also have each child bring a small backpack with a water bottle, extra set of gloves, neck gator, extra goggles if possible, sun block, extra layer of clothing, spare change in case of emergency, a healthy, nutritious lunch, and a snack. Backpacks will be taken up the Powder Park lift and dropped off at our team area by the timing shack at the top of Virginia City lift. Note: We do NOT provide equipment, daily lift ticket, or lunch, but let us know if you need assistance with the aforementioned. Lunch 11:00-11:30am: We break for lunch at roughly this time (depending on crowds and conditions). Lunch is at the mid-mountain Deer Park Lodge, usually upstairs, and coaches will supervise the kids at lunch. Parents are welcome to join in, but we ask that parents join the group upstairs rather than removing your child to downstairs or to another location, as we all like to eat together. This is a great time to bond as a team and get to know each other better. Skiers will be released from the program at 2:00 p.m. slope-side outside of Jim Bridger Lodge. If parents are not present to pick up children upon release, please make sure you communicate with our YSL Director or one of the other coaches to let them know exactly where you will meet them after we release them. If we miss a day or two, we will make it up at the tail end of the scheduled season. So if it's below zero degrees, look for a cancellation email. We will most likely cancel YSL if the temperatures are that low. On the first weekend we will work and ski together to find the appropriate groupings for athletes (be aware there may be some shuffling throughout the first days to make appropriate placements). 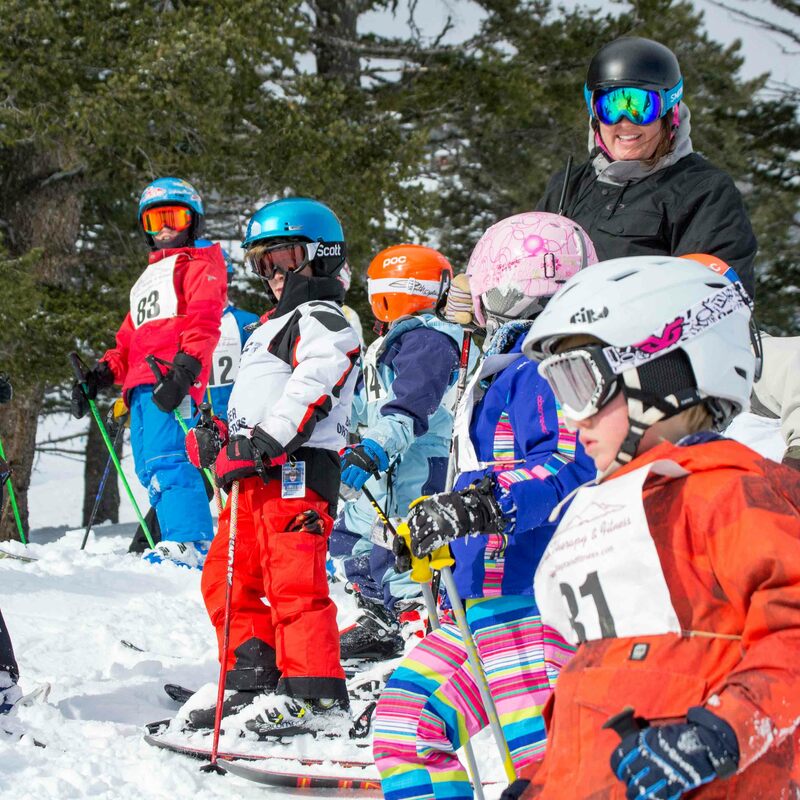 Placement for your child is vital to us and may take a couple of ski runs for us to evaluate your children effectively. Groups are generally assembled with similar skiing technical skills and coaching agenda. It is not guaranteed that friends will be paired up, but we will try to accommodate if skiing ability and goals are similar. Your child can remain in their age group in the Introductory program up through age 11. However, they can also choose to progress on to our Introductory Development Programs with either Alpine or Freestyle/Freeskiing. Talk to a coach to see if it's the right fit. While we will have a copy of each participant's medical release form noting any serious medical and/or dietary conditions, every coach may not know everything. So if you could let your coach know personally if there are any major (or even minor) concerns, then we can follow your direction while working with you in providing the best environment for your child. We have two Fun Races each year - one on Saturday and one on Sunday (U.S. Ski & Snowboard Licenses NOT Required). Races are $12 each (not included in program registration fees). Both events will take place on Hanton’s Hallow (under former Deer Park Lift). While races are not mandatory (we never require race participation at any level at Bridger Ski Foundation), they are highly recommended. If your child does not want to participate, we will have an alternate plan. Experience has shown that 99% of those who participate, even reluctant little ones, enjoy each race as it is meant to be an all-inclusive, fun event. When you register for the Intro program, you will be added to an Intro email list. Intro Program Directors will communicate weekly details to you through email. (It’s important that you do not unsubscribe to BSF emails, as this is our main mode of communication in the winter.) If for some reason, you are not receiving emails from the Intro Director, let us know! New Equipment may be purchased at local retailers or online. Your BSF annual membership entitles you to discounts at participating retailers. Used Equipment: The Ski Swap, held each November at the Fairgrounds. Thousands of items. (It's also one of BSF's biggest fundraisers.) BSF members get in an hour early. If you volunteer at the event, you get in even earlier! 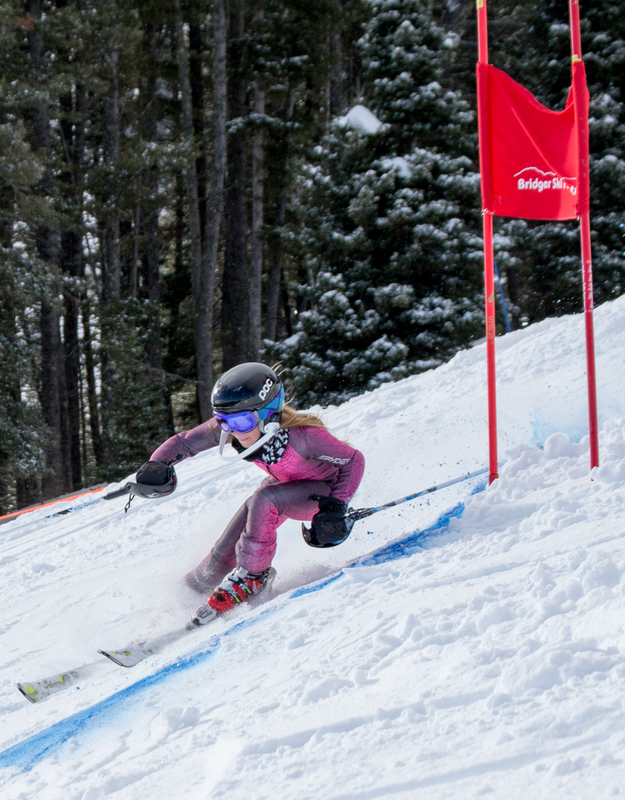 Parent/volunteer assistance with the two Intro races is always needed, and encouraged, and it is a great place for parents to learn about ski racing. No experience necessary. Look for info in the weekly emails. BSF is a traditional nonprofit, relying on donations and fundraisers to cover approximately 50% of our operating costs. Volunteers donate thousands of hours each year. We couldn’t do it without them! We’re always looking for volunteers to help with our fundraisers, serve on committees, or help at Nordic, Alpine, and Freestyle/Freeskiing competitions. 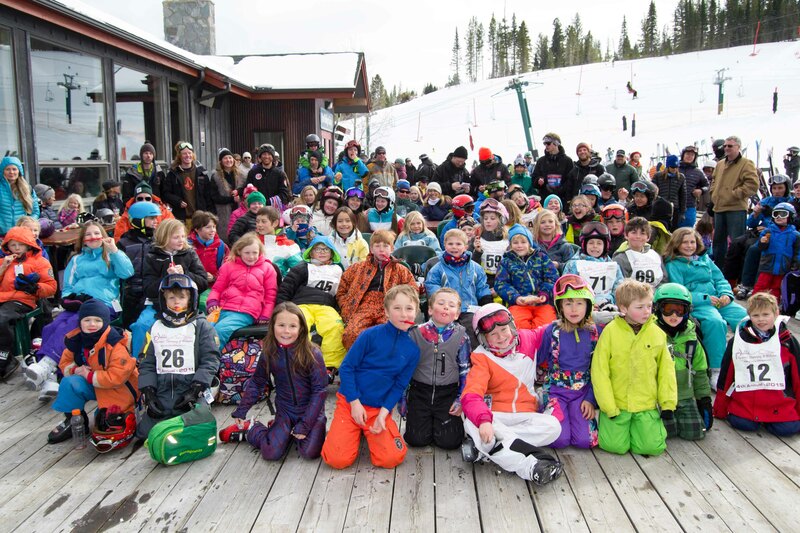 Want to volunteer for the older Development/Comp Team Alpine Races? Feel free to contact us throughout the season at (406) 587-2445 or via email.